Increasingly, telecommunication providers are realizing that a “one size fits all” policy isn’t very effective in an era when businesses with distributed workforces have a variety of needs. So j2 Global, the company behind online fax service eFax, and email services FuseMail and Campaigner, is extending its telecommunication offerings. 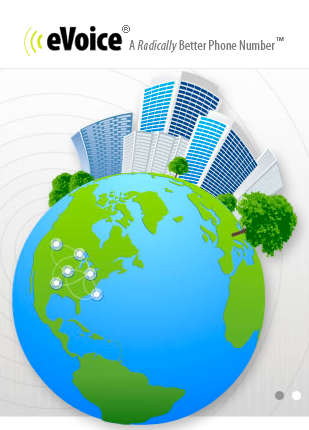 j2 has been offering Onebox, which it calls a “unified communications” system, for some time. And while Onebox offers a comprehensive feature set, its price point, which begins at $49 per month per user, is higher than some organizations will want to pay. For users who do not need Onebox’s fax, email and web conferencing tools, j2 offers eVoice, which competes with the likes of 8×8 Virtual Office Solo and Google Voice (s goog). I asked eVoice’s Greg Smith how he differentiates eVoice from Onebox and from competitors’ offerings. According to Smith, eVoice stands out because it offers a free trial for up to six months, 1,000 minutes or 60 voicemail transcriptions. Smith says that eVoice recognizes how central telecommunications is to businesses, and it wants to ensure that customers are comfortable with its service. eVoice also offers a large discount (23 percent) to those who sign up before the trial period ends. 24/7 support, and a free service to set up eVoice for customers. The choice to port existing numbers, or to provide sophisticated call management with existing phone services. Call recording. This new service allows users to record one-on-one calls and conferences from any phone. The other party is notified that recording is happening, and the recording is available in MP3 or WAV file formats. The recording service is priced at an additional $5.95 per month for unlimited recordings. 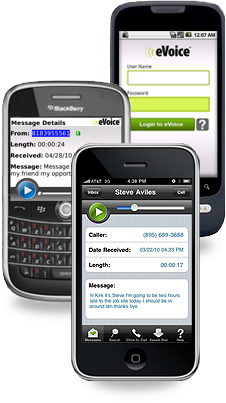 The eVoice service includes features that are familiar to those who have tried similar products, including: auto attendant; conference calling; iPhone (s aapl), Android (s goog), BlackBerry (s rimm) apps; sequential or simultaneous ringing; dial by name directory; call forwarding; multiple extensions; call screening; speed dial; call transfers; caller announce; hold music; and caller ID and blocking. Pricing for the basic eVoice service begins at $12.95 per month, and includes 2 extensions and 300 minutes of calling. Other plans are available with more minutes, extensions and options.